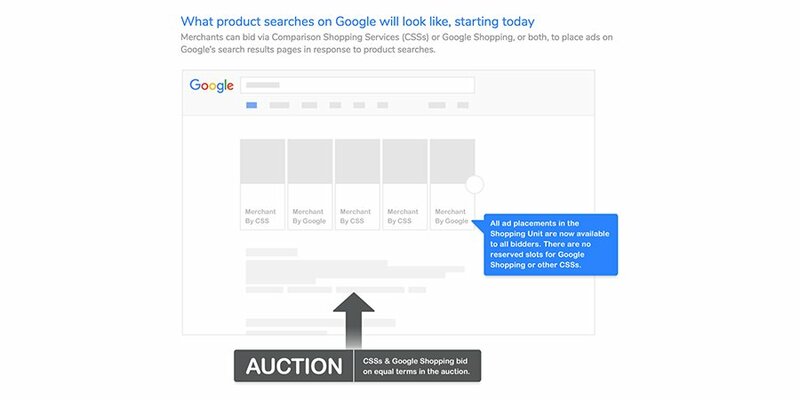 Google adjusted its offering a few days ago to give more visibility to all comparison shopping services, following a decision made by the European Commission in June 2017 for non-compliance with European antitrust rules. Look back at the sanction and see what alternatives the search engine has put in place. Last June, the European Commission imposed a 2.42 billion euro fine on Google for abusing its dominant position, as it was judged that Google favoured its Google Shopping platform in its search results at the expense of other comparison shopping services. Although Google appealed this decision, the American giant still had to modify its Google Shopping service (within 90 days) to conform to the Commission’s standards. So on September 27th Google announced that it would open Google Shopping up to European comparison shopping services. 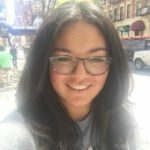 What changes has Google made? Last week, Google changed the operating rules on its comparison shopping service ‘Google Shopping’, to conform to the decision made by the European Union. To do this, the company will separate its search engine and its advertising service Google Shopping, which will be open to all the comparison shopping services in the EU and is currently available in: Germany, Austria, Belgium, Denmark, Spain, France, Ireland, Italy, Norway, the Netherlands, Poland, Portugal, Sweden, Czech Republic, United Kingdom and Switzerland. Therefore, Google will have to bid in the same way as other comparison shopping services for advertising slots within the search results. 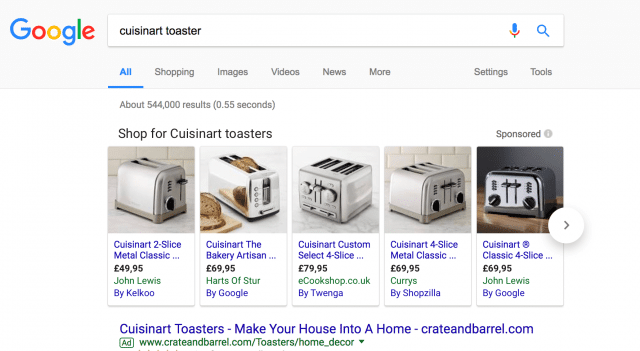 Before, Shopping ads would appear in Google search results without any mention of the comparison shopping service, whereas now other sites will appear next to similar product ads published ‘By Google’. What consequence will this have for comparison shopping services? For competing comparison services, this decision gives them the opportunity to benefit from more visibility on the platform. They will be able to promote products in Shopping ads on Google’s search engine by simply uploading their products catalogue into Merchant Center, in the same way as retailers. However, certain standards will need to be met to show ads for product from the retailers they represent. To know more, click here. When it comes to online retailers, it is still too early to gauge the impact of this change on their activity and the best strategy to adopt (Google Shopping only? Comparison services only? A mix of the two?) to optimise their online performance. Lengow is the e-commerce platform that helps brands and retailers improve their performance, automate their business processes, and grow internationally.